Today i will present you wild flowers of Punjab – Sodom apple, bindweed. 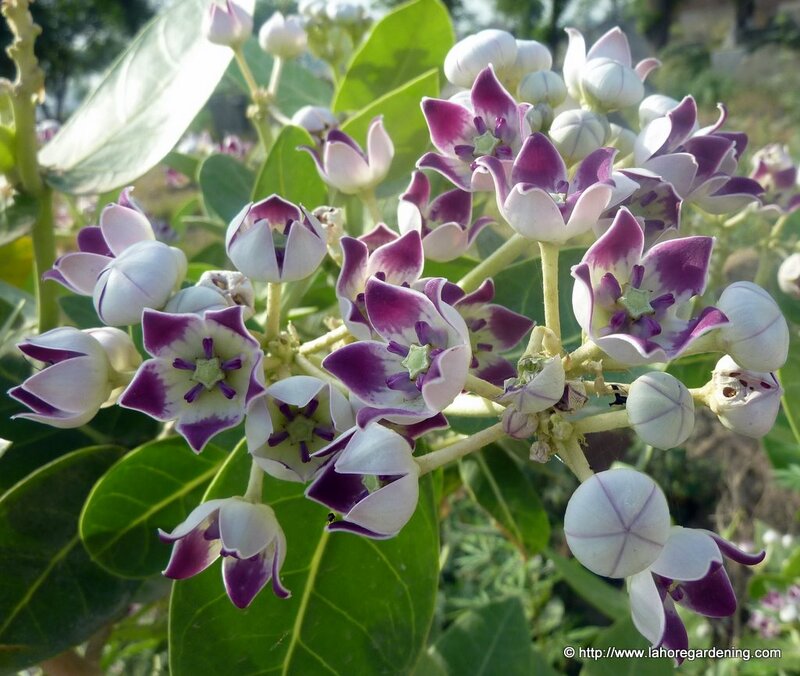 This is Apple of sodom or calotrope with botanic name Calotropis procera is a wild flower of Punjab. It has succulent foliage and flowers in almost whole summer in open sun. Bindweed with botanic name convolvulus arvensis. A very common weed in Punjab. A ground cover in full sun. Self sows. Foliage is different than that of morning glory. Ipomoea nil chocolate. This is a type of Japanese morning glory with a color not very common. It is also called chocolate rose silk. These vines grow good in our extreme summer heat. 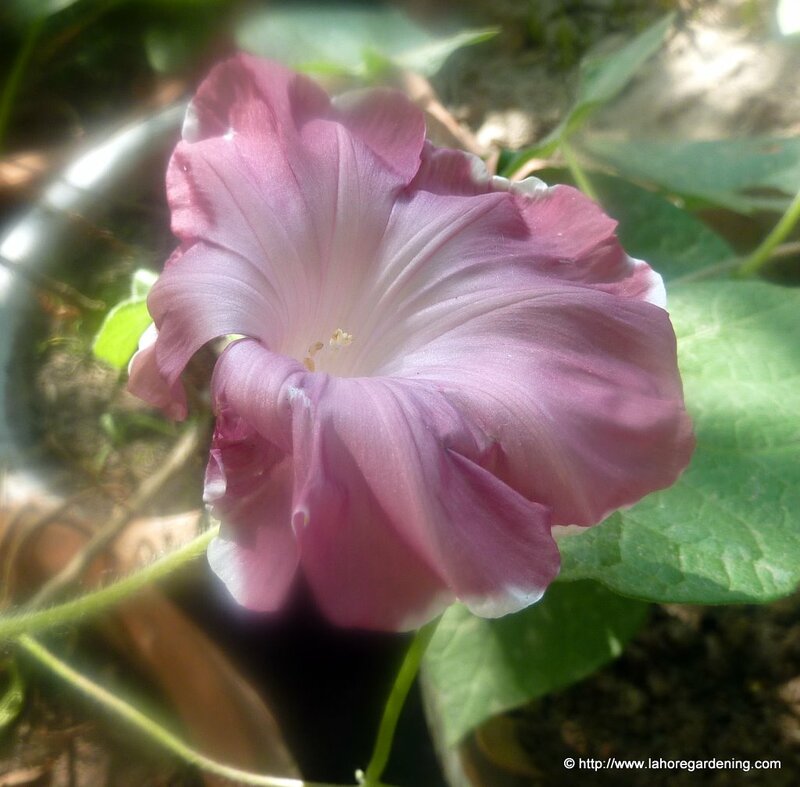 I am growing more than 7 colors of morning glories this summer and will post pictures as soon as they flower. What beautiful pictures – stunning! Great plants! The buds of the first one you show are particularly striking with the little lines of color showing against the white buds. Lovely plants! I’ve never seen ipomoea in that chocolate color – very pretty. Happy Bloom Day! i love that first photo, i haven’t seen that plant either, its beautiful! 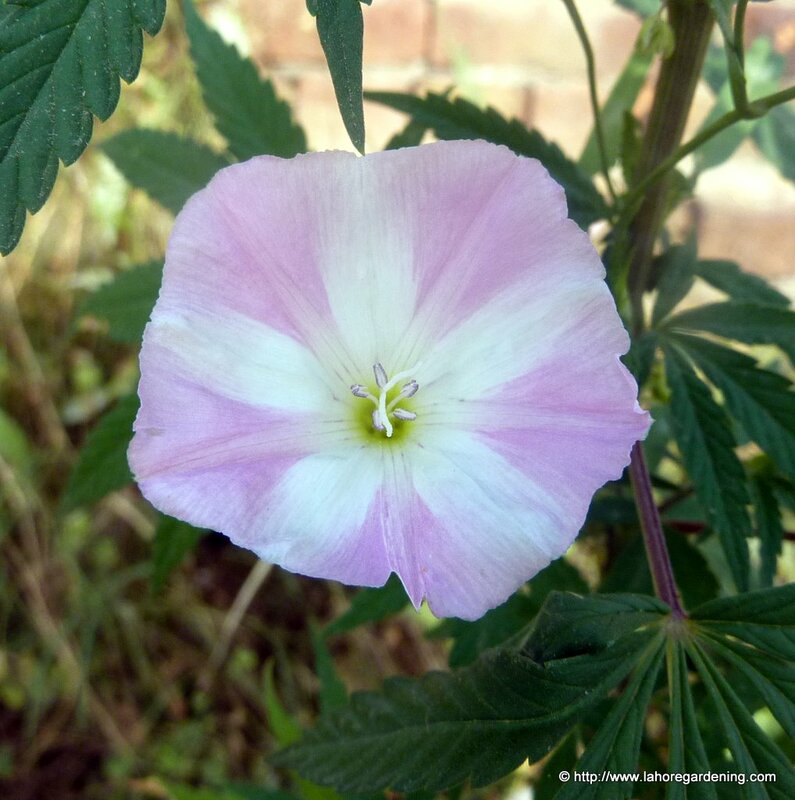 I’ve always admired morning glories. The chocolate is particularly pretty. Happy GBBD! These are such lovely blooms! I like seeing flowers from other parts of the world…stunning. Bindweed is a weed here in Scotland aswell though ours is pure white. That chocolate silk rose is amazing looking – it really does look like fine silk from your photograph. Thanks Muhammad for visiting my blog – you were one of my very first commenters nearly 3 years ago when I first started blogging. The Morning Glory flowers are beautiful. Good to see other colours other than Blue. Here in the UK they are of course classed as tender but we can grow them through the simmer outside. 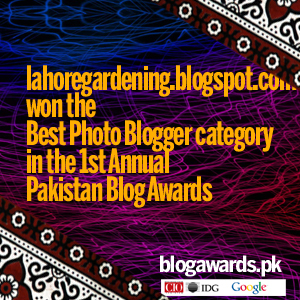 Its nice visiting blog again and love to see it growing and glowing at fast speed.